One of Britain’s best-loved celebrities died yesterday, from complications. The veteran entertainer was a staple of the BBC’s light entertainment line up for many years before retiring then dying. He worked with a number of similarly beloved stars, some of whom are still alive, some of whom are dead and one of whom exists in a quantum state of superposition, and will do until somebody opens the box he’s in. A number of the newly-dead entertainer’s still-living ex-colleagues paid tribute to him today, describing him as “a lovely man”, “genuinely funny”, and “a one-off”. During the peak of his career he appeared in some very popular TV shows, a racist sitcom and one or two fairly poor British films. His most recent TV appearances were on various news and magazine programmes after the deaths of John Thaw, whom he described as “genuinely funny”, “a lovely man”, and “a one-off”, and Ronnie Barker, whom he described as “a one-off”, “genuinely funny”, and “a lovely man”. DJ Dave Lee Travis stated: “He will be missed. There is no one out there to replace him. He was genuinely funny, a lovely man and a one-off”. We don’t know why, we never asked for his opinion but someone gave him our email address and he won’t leave us alone. As a tribute, BBC 2 will broadcast an hour-long programme featuring four short clips from his career and a parade of shallow reminiscences of his work from c-list TV presenters, ex-Smash Hits editors and Stuart Maconie. 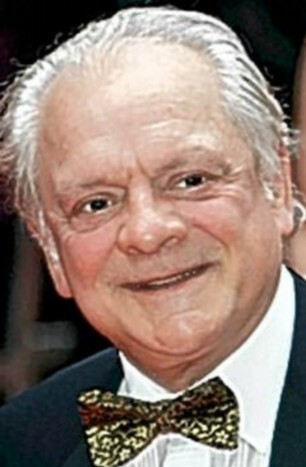 David Jason is still alive.